I am awakened early most mornings by the noise of the construction from this building project as it is immediately outside my bedroom window. A few weeks ago I was unable to exit my apartment as someone had dropped a few pallets of bricks outside the door … right up against the door. Based on previous experience the footpath and the road surface will be left in a badly damaged condition after the builders move on. Despite all my moaning it is nice that some restoration work is underway. 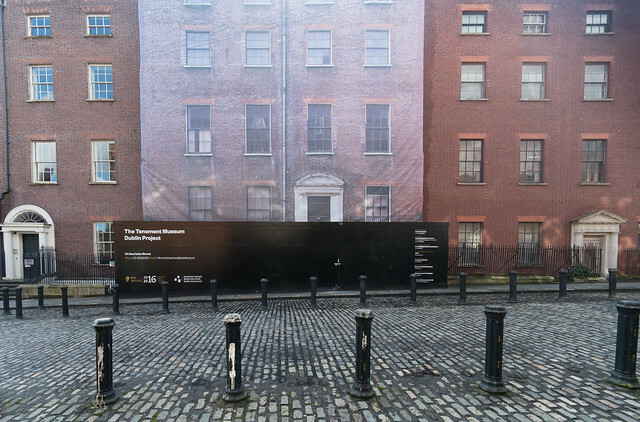 14 Henrietta Street was selected as a Commemorative Capital Project in the Decade of Centenaries (2012-2022) as the building contains a wealth of physical evidence that will allow future generations to explore and understand the social history of the house and the street from the 1750s to the 1970s. 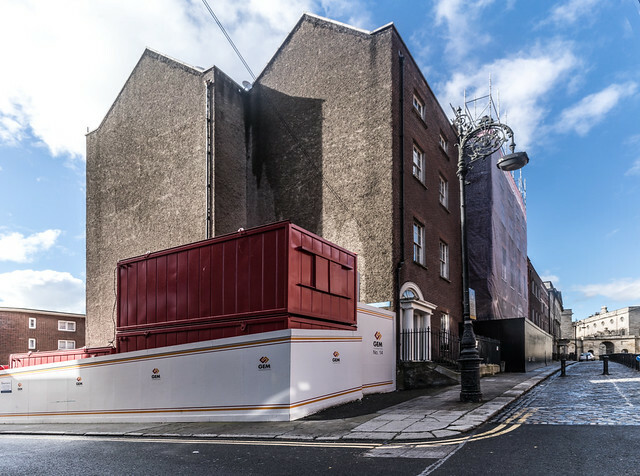 It is remarkable that the house, which contains no furniture, reveals so much about not only the past but also the contrasting lives that were lived at 14 Henrietta Street. People's lives and the uses of the rooms during the house's over 200-year history are emerging through the efforts of conversation specialists, academic researchers and the collection of oral histories from those who lived there and in the vicinity.